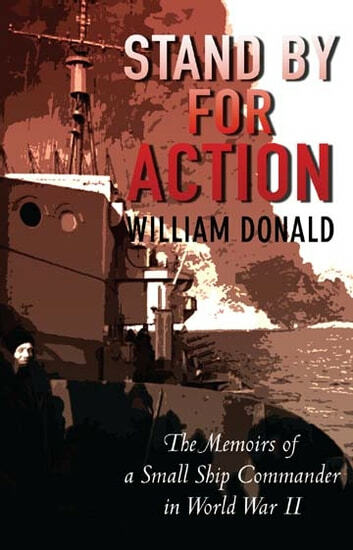 The author of this compelling memoir proved himself one of the most successful small ship commanders during the Norwegian campaign in 1940, and then served at sea continuously throughout the rest of the War. In Norway, as second-in-command of a Black Swan sloop, he experienced the suspense and nervous strain of operating in the narrow waters of a twisting fjord under heavy air attack, but his humour was never far away. 'I don't want to appear fussy, but are we going to be greeted by cheers and kisses from Norwegian blondes, or a hail of gunfire from invisible Huns?' he remarked to his officers on approaching the small town of Andalsnes. His next task - in command first of a corvette and then a destroyer - was escorting East Coast convoys, and his experiences reflect the danger of this work against the menaces of E-boats, enemy aircraft and mines. He then took part in the landings at Anzio and the Normandy landings in 1944; finally, he rescued internees from the Japanese prison camp on Stanley, Hong Kong. His career was much helped by his highly developed sixth sense for danger, the deep affection of his crews and his affinity with cats which he believed brought him luck. This record of varied and almost incessant action ranks among the most thrilling personal stories of the war at sea.